A Safety Oriented Flexion Table that Stresses Comfort. The Galaxy McManis Hylo is a flexion distraction table designed with both doctor and patient in mind. 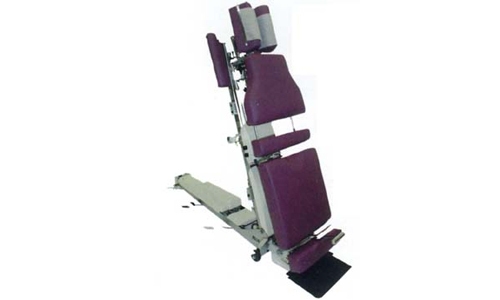 Available in 22″ to 28″ heights, it features fully adjustable head, chest, lumbar and ankle sections. Simple control levers provide precision control of the pelvic flexion with lateral bending and traction.